Cameraman Engin Corlu, who works for Cihan News Agency, was first on the scene when a suicide bomber attempted to blow up the Justice Ministry in Ankara, Turkey last week. He said he'd "never felt so close to death". 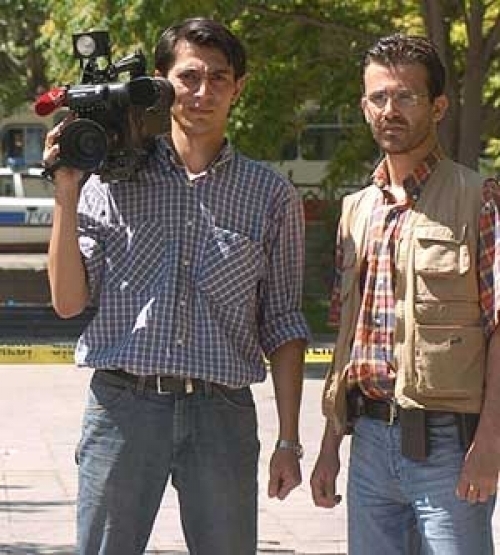 23.06.2006 Cameraman Engin Corlu, who works for Cihan News Agency, was first on the scene when a suicide bomber attempted to blow up the Justice Ministry in Ankara, Turkey last week. He said he'd "never felt so close to death".